Flowers, Cacti and any sort of greenery are always welcome in our flat. I find that they add a boost of colour and touch of nature to any room, whilst their purifying qualities help to clean the air. I've been adding to our collection of greenery for many months now and despite having a few hiccups upon the way, we now have a range of plants that I feel work for our surroundings. 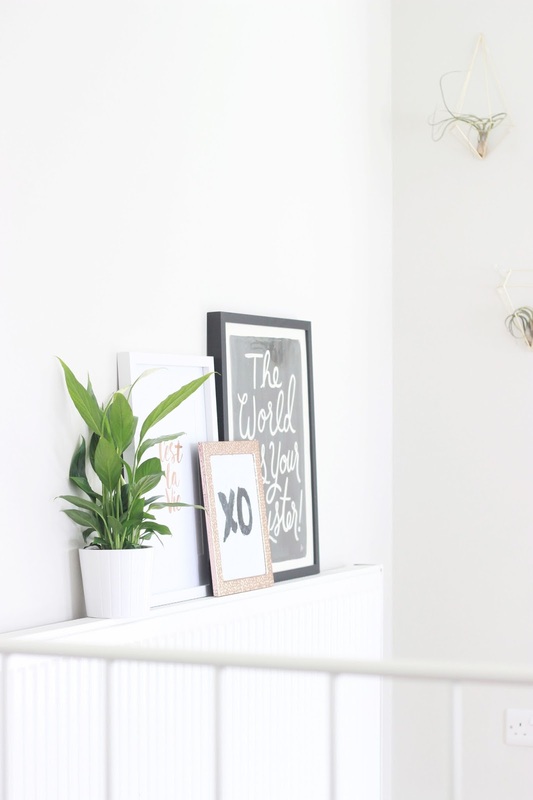 Despite not naturally being a green thumb, I have had success finding the right plants which need little maintenance yet plenty of light, as I find our flat radiates sunshine easily. Cacti are the easiest green to look after as they require a little amount of water and can be placed pretty much anywhere. If you're looking for something that needs even less commitment, then air plants and succulents are your best friend. Although they still need watering and air circulation, they can be placed pretty much anywhere. If you're looking to invest then Love Tilly's is a great site to check out. I've always loved the way greenery looks against white or grey walls. They add colour, texture and can brighten up a space that would of otherwise have been a dull room. I pretty much balance my plants anywhere they can fit; on shelves, in shapes and even on radiators. As you may already know, I love to incorporate golden and copper hues into our interior. The Umbra Prisma Wall Decor; a collection of geometric shapes, are an addition to my bedroom that initially started my air plant obsession. These shapes can be attached to the way or hung from the ceiling to create a statement feature in any room of your choice. 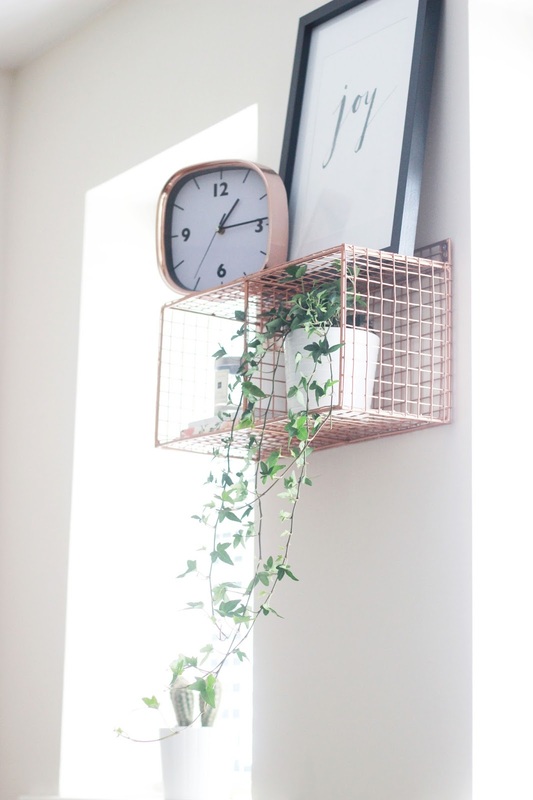 As for fulfilling my copper craving, the Oliver Bonas Grid Store Unit is perfect for containing a wide variety of ornaments, especially greenery. Ivy is a great addition to this set up as the falling plant looks lovely and luxe, dressing it up and complimenting the copper shade with it's green hue. We have greenery throughout our flat, but I tend to find them a home situated next to prints, grouped in threes or as I've previously mentioned next to a contrasting copper hue. Not On The High Street is one of my favourite places to purchase prints, Eleanor Bowmer, The Motivated Type and Ingrid Petrie Design being some of the brands I tend to opt for. I find that this pairing always look chic and well put together throughout the home. H&M home always have some amazing pieces; their wooden contrasting candle holders were exactly what I was looking for as holders for my air plants. They now live next to my Crosley Rose Gold Record Player, but unfortunately H&M no longer sell the exact holders. I have come across several that I think would look divine paired with a succulent or air plant, so I would recommend checking out Etsy's Marble Planters or M&S Glass and Metal Terrarium if you're looking for something to house your greens. I get my greenery from several places, but I find supermarkets, Ikea and Homebase are my go-to stores when I need to indulge my obsession. If you can leave Ikea without a plant you have much more will power than myself that's for sure. As I previously said I am not a natural when it comes to gardening; well more specifically keeping plants alive. Before committing to real greenery rather than artifical, I did a lot of research on the type of plant that would be suited to me. I considered the amount of water it needs, where it needs to be placed to get the right amount of sunshine and what temperature it excels at. I've wanted a Peace Lily for some time, but I knew they required a little more attention, so I started off with succulents until I felt happy that I could keep bushier, leafy greens alive. 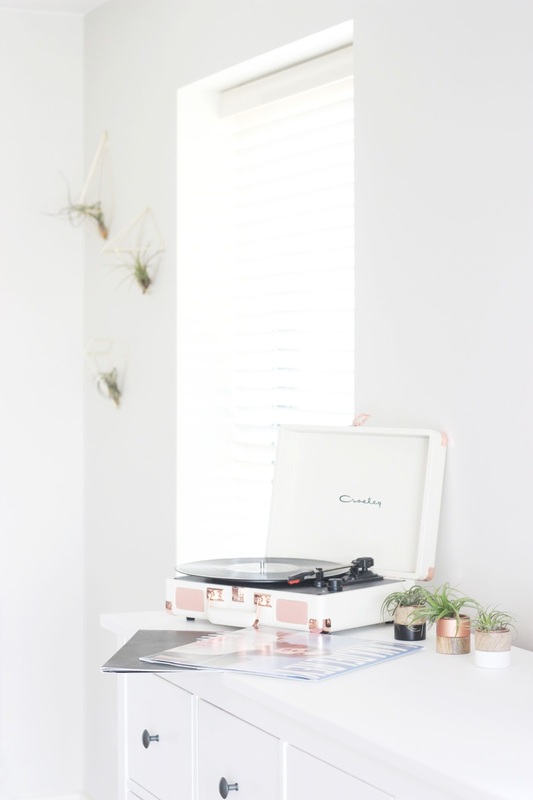 Aside from their air purifying qualities and brightening appearance, the other reason I like adding greenery to our home is that they can be frequently moved to fit in with new pieces. 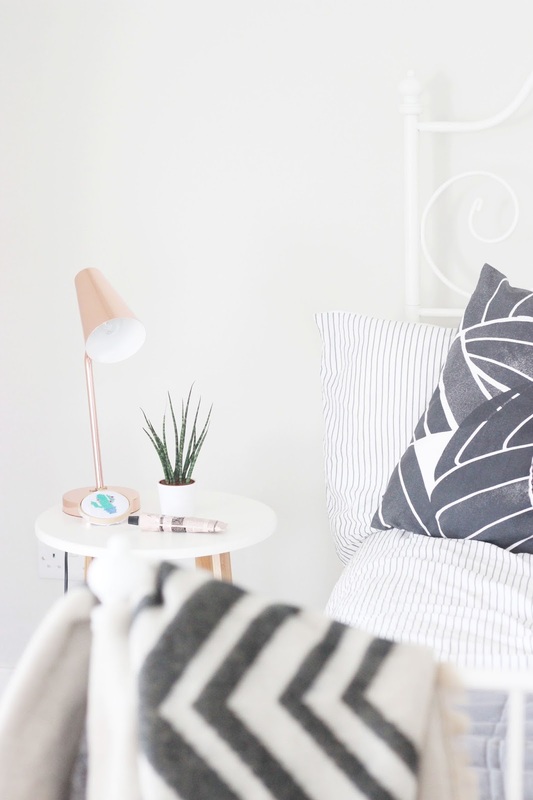 Although I normally house my plants in simple white Ikea Plant Pots, purchasing pots that come in different colours and shapes can really change up a room. I like this H&M Large Metal Plant Pot as it contrasts well with green hues and can easily compliment a plant space. As I previously mentioned, I often balance and move around my plants to fit in with new colour schemes and compositions. Personally, I like filling up a space with greenery, so many of our windowsills and radiators (turned off) are often engaged. We don't have too many rooms in our flat, but the rooms we have are fairly large. Although it may seem excessive at times, I like to have at least two plants in each room to freshen up the area. I have two miniature Sanservieria's, otherwise known as Mother In Law's Tongue, one that sits on my bedside table and the other in my Tiger Wire Copper House. As for my desk, a pint sized Livistona Rotundifolia (Palm tree) takes residence there as I find the large, wide leaves give off a tropical feel and spice up my minimalistic desk. I hope that this has helped give you inspiration to incorporate more greenery into your interior. Grab a water spritzer and head down to your local garden centre to fill your home with leafy, fresh greenery. Will you be adding any greenery to your home? Every year I use Easter as an excuse to eat my own body weight in chocolate and bake as much as I possibly can. Aside from scones and hot cross buns, two of my new favourite things to bake have been shredded wheat nests and lamb cupcakes. Both of these recipes are simple, easy and extremely tasty. 1. Melt chocolate in a glass bowl over a pan of simmering water. Stir regularly. 2. Once melted, pour the chocolate over the crushed Shredded Wheat and stir until they're all covered. 3. Spoon the mixture evenly throughout 6 cases. Press the back of the spoon in the centre to create a nest shape. 4. Place the 2 or 3 golden eggs on top of each nest and chill in fridge for at least an hour or until set. 1. Preheat the oven to 200c and line a muffin tray with 6 cupcake cases. 2. Place the sugar and butter in bowl and beat until the mixture is pale. Then beat in one egg a little a time until thoroughly mixed. 3. Fold the flour and vanilla extract in to the mixture. Once combined, spoon the mixture into the cupcake cases making sure that each case is half full. 4. Bake in the oven for 15 minutes or until golden brown. Transfer to wire rack once cooked and wait to cool. 5. For the buttercream icing, beat the butter with a whisk until soft. Then slowly add the icing sugar in until fully mixed. 6. Once the cupcake are cool, spread the buttercream over the top evenly. 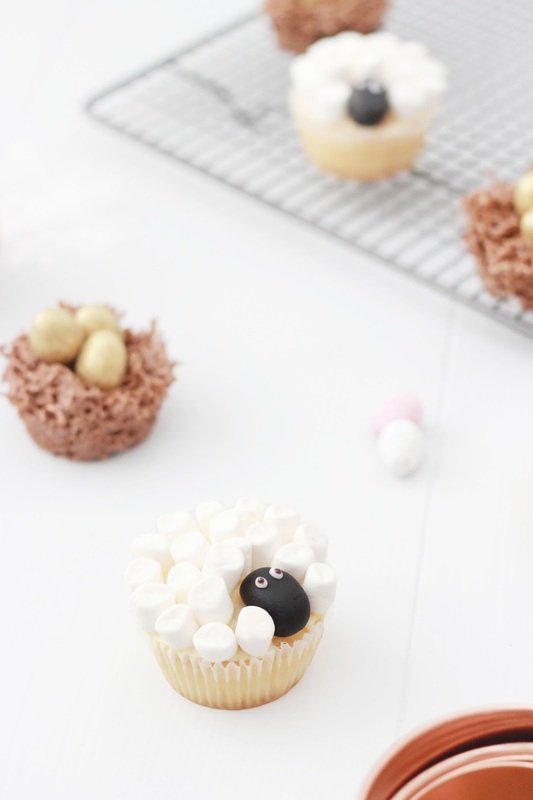 Arrange the mini marshmallows on each cake allowing space for the icing head. 7. To make the icing head, I take a piece of my ready to roll black icing and shape it in to an oval lozenge. I then place all the heads in the fridge for 10 minutes to set. 8. I make the eyes using writing icing, but you can use edible candy eyeballs if you would like. I then place the head onto the cupcake and fill in any gaps using marshmallows. 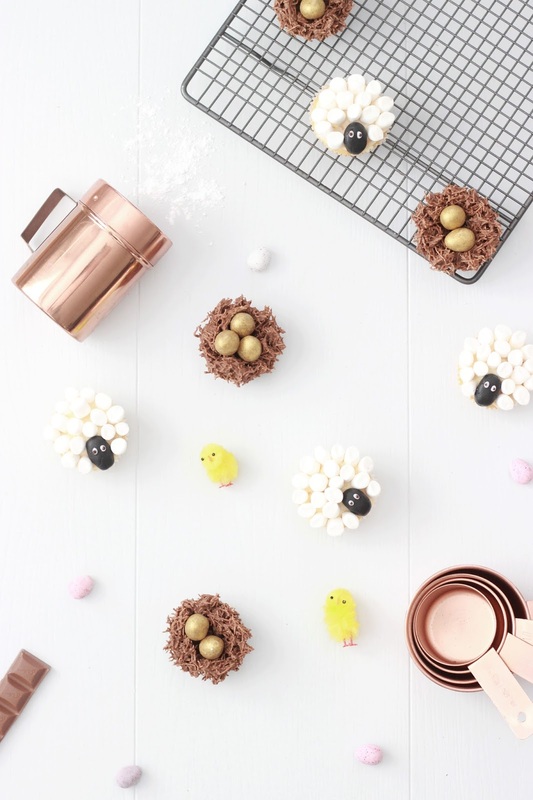 Are you going to bake anything this Easter? Spring is officially less than a week away and this can only mean one thing; the Lush Spring Collections are upon us. 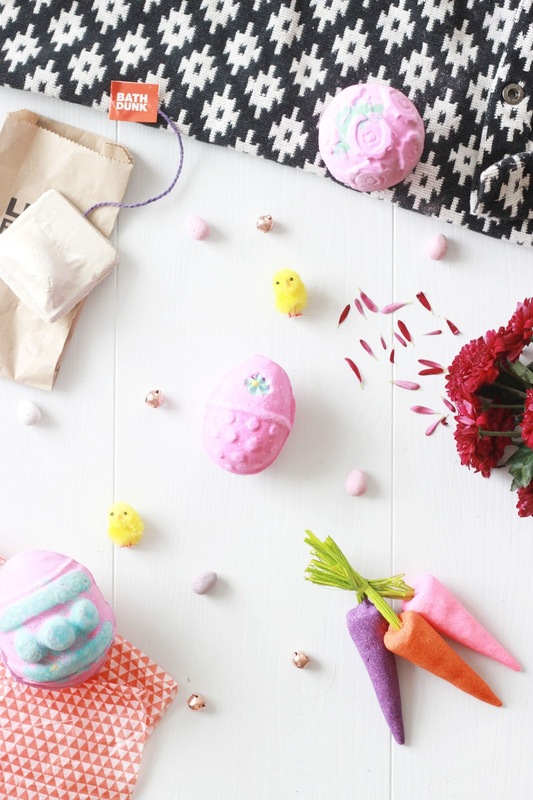 Although I've still got a large supply of bath bombs from the Winter, I still can't help but use the Mother's Day and Easter range to stock up. 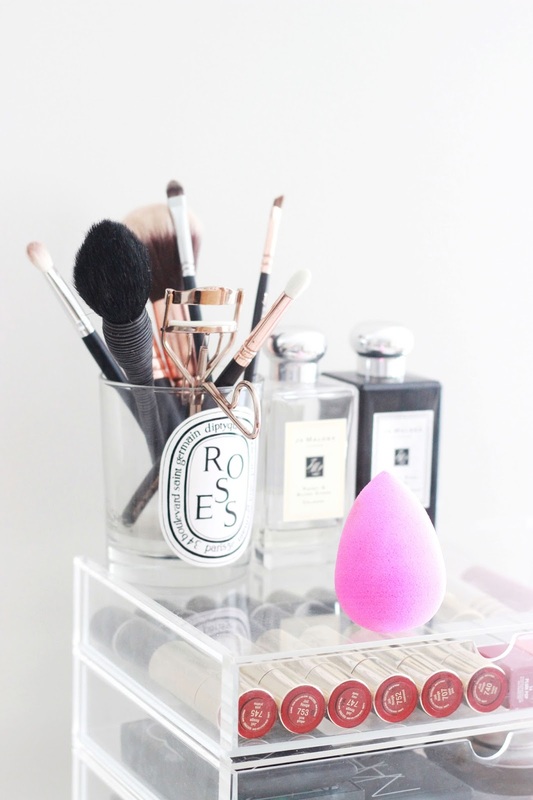 Today, I am sharing with you everything I have picked up recently. First up is the Fluffy Egg; an Easter must-have, especially if you love hot pink-hued baths and the sweet snow fairy scent. Every year I purchase a handful of these and I try to make them last all of Spring. I was tempted by the Golden Egg; a luxe bath melt as it allows you to soak in toffee scented water, whilst moisturising lacklustre skin with cocoa butter and olive oil. If you're not a fan of excess glitter then I would recommend giving this one a miss, otherwise it's a golden lustre treat that is perfect for Spring. With antiseptic buchu oil and uplifting Sicilian lemon oil, the Bunch Of Carrots re-usable bubble bars are the perfect new additions to the Lush Easter collection. This fresh smelling trio creates vibrant bubbles as soon as they hit the running tap water. Rather than crumbling your specified coloured bubble bar in the bath, I hold it underneath the tap to create layers on bubbles without the mess. When I was in store, I was deliberating between the Humpty Dumpty or Which Came First? bath bomb, but ended up picking the latter. This offering has a sweet fruity scent that fills the bathroom and although at £6.95 it is slightly steeper than the other bath products, it can be easily split into atleast three baths for multiple uses. I didn't pick up much of the Mother's Day collection this year, but I was instantly drawn to the Rose Bombshell bath bomb and after one use I knew I had to start a petition to make it permanent. 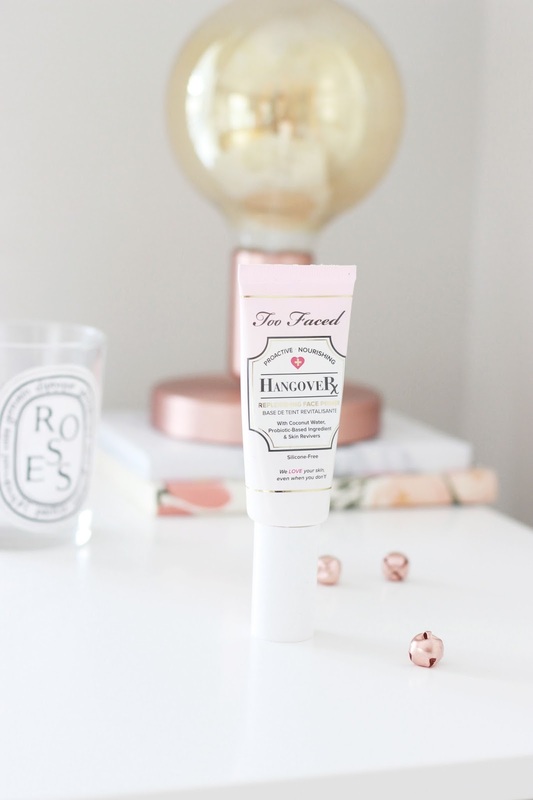 Personally, I always gravitate towards rose scents as I find them relaxing yet mood uplifting, so the Rose Bombsell was always going to go down well. With a soft rose scent, this bath bomb releases petals into the water, whilst softening and lightly fragrancing the skin. Although Mother's Day has been and gone, I would recommend popping into your local Lush store to see if they have any left in stock. Last up is the Flowering Tea Bubble Bar another new addition to Lush's range and one that is perfect for Spring. This reusable tea bag shaped bubble bar releases neroli, rosewood and orange flower scented bubbles and blue cornflowers when it makes contact with water. I'm pretty sure this petal-filled bar is here to stay, but either way I will be enjoying it all Spring. 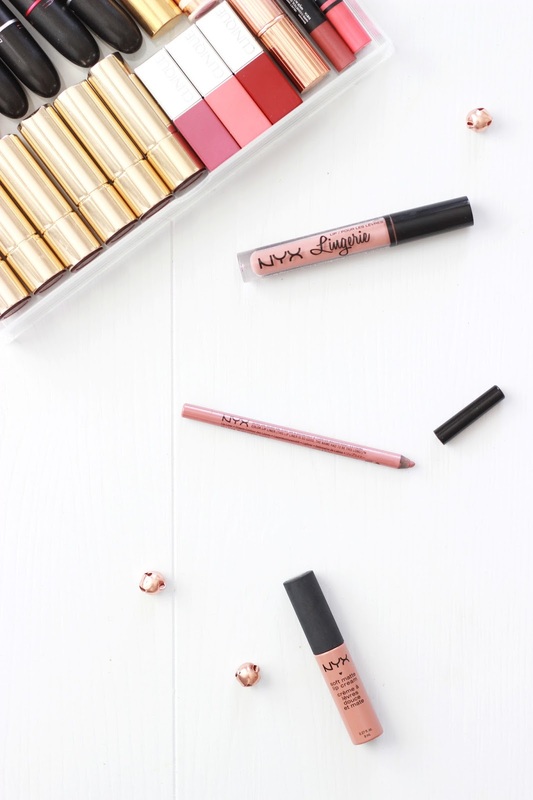 Are you planning a Spring Lush haul? Despite taking up half of my routine, I contour daily. 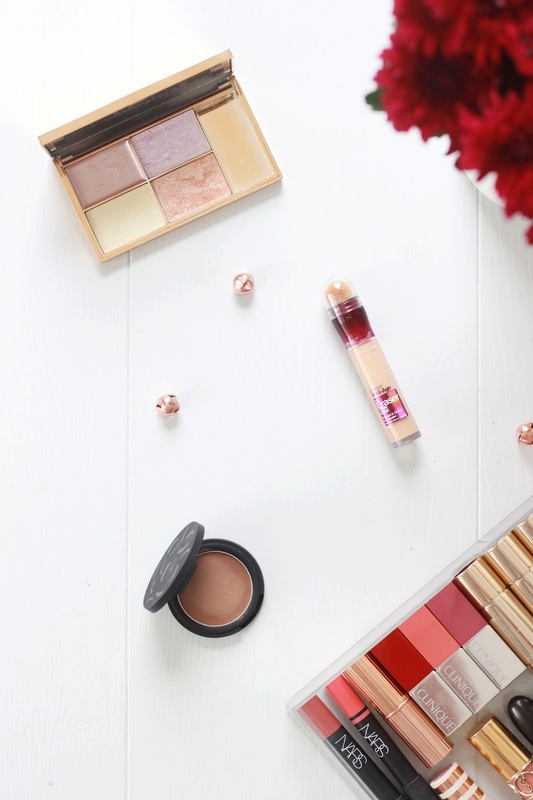 Although I own my fair share of contouring products, after trawling the aisles of Boots I realised there weren't many high quality, high street products on the market. 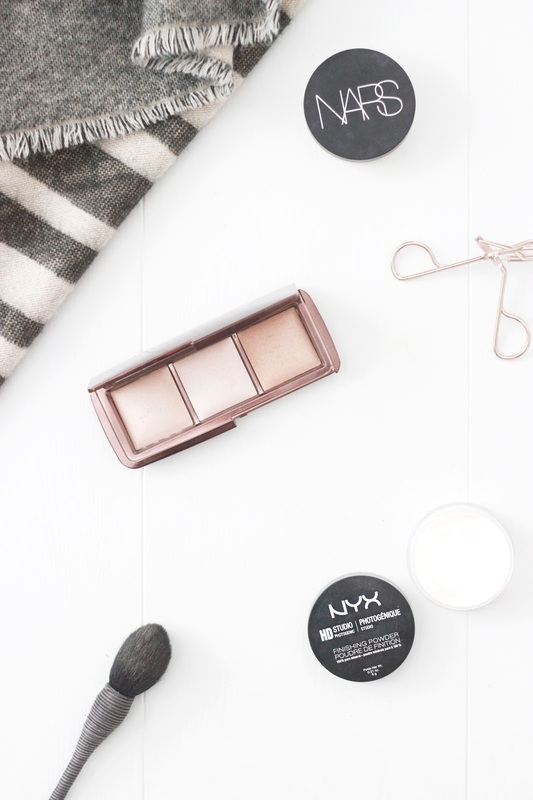 Contouring on a budget can be difficult, but I have put together three products that deliver a natural, everyday contour in minutes and without breaking the bank. First up is concealer and when I'm contouring I always take my concealer one shade lighter than my skin tone to highlight and brighten my complexion. To reduce puffiness and the appearance of dark circles I always reach for the Maybelline Eye Eraser Concealer - Light to add a subtle radiance and disguise any shadows. If I'm after a sharp, strong contour then I tend to apply this under my eyes, along my chin and below my contour, but if I'm after a natural look I dab this along any red or blue areas to conceal. Although contouring is now everywhere on the high street, cream contours are still hard to come by. The Topshop Contour Cream in Sweep is an affordable option which sculpts and defines your cheekbones without breaking the bank. It gives a soft, matte finish which looks natural in all lights, whilst remaining buildable. For highlighter, the Sleek Solstice Palette ticks all the right boxes. This versatile quad is made up of an array of powder and cream formulas; with matte and shimmer finishes that brighten up the inner corner of the eye, define cheekbones and emphasise on your cupids bow. 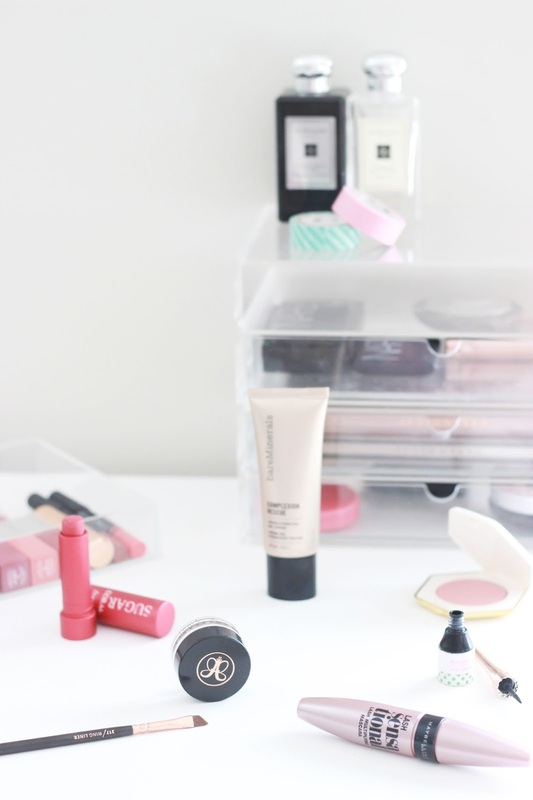 What is your favourite budget contouring product? Although my skin isn't as bad as it used to be in my early teens, I still am prone to painful spots every now and again. After juggling blemishes and dry patches for many years now I have concocted the perfect routine for healing my problem skin. First up is cleanser and this is the step in my blemish busting routine that I tend to miss out if I've only got one or two spots. However, if I'm feeling rather spotty, the Zelens Z-Detox Cleanser* sorts my skin right out. 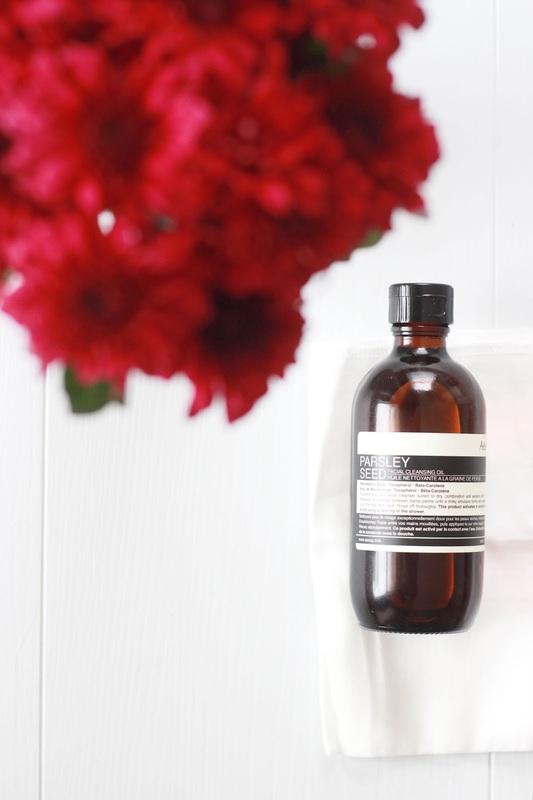 Unlike any other foaming cleanser that I have tried before, this offering removes impurities and reduces excess oil, whilst keeping my skin calm and soothed. I follow with several swipes of the Pixi Glow Tonic toner which is enriched with gylcolic acid to exfoliate and brighten the skin instantly. Whether it's little spots under the skin or a full blown break out, this will help to reduce the size and quantity overnight. A budget friendly option would be the Nip and Fab Gylcolic Fix Cleansing Pads; a solution-soaked pad which boosts radiance and can be easily used on the go. 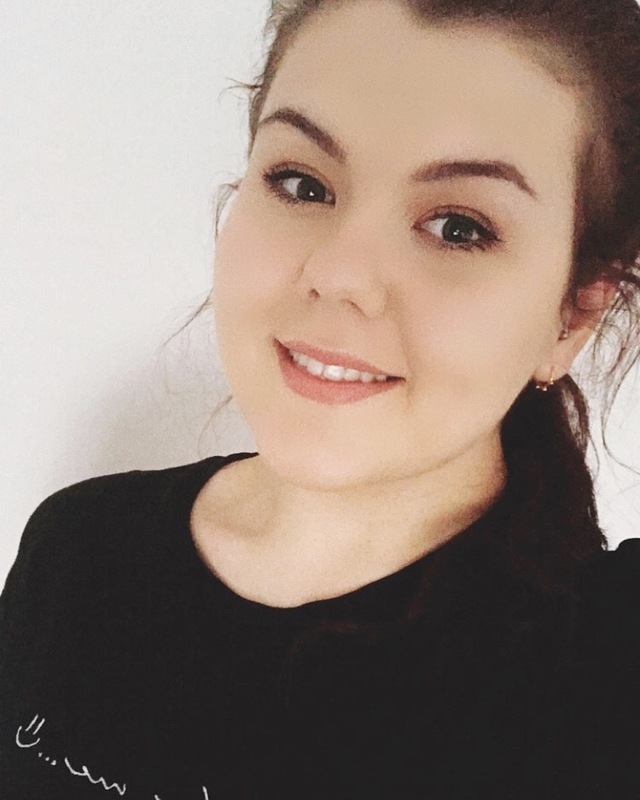 Face masks are the perfect way to treat my skin and deliver the result it needs. Although it dries like a traditional clay mask, the Aesop Primrose Facial Cleansing Masque* hydrates and rejuvenates the skin like no other. It draws out impurities and perfects neglected complexions so it's no that wonder I always reach for this when my skin needs some extra TLC. Origins is a brand famous for their face masks, so this line up wouldn't be complete without the mention of the Origins Drink Up Intensive Mask. This moisture replacement treatment nourishes the dry patches on my spots, clearing them up and making them less apparent once covered with concealer. To finish off I apply a quick dab of the Origins Super Spot Remover to any inflamed areas. It reduces the appearance of redness and minimises the size of my spot. Although I find this severely dehydrates my skin, in small doses this is one miracle worker that I can't be without. 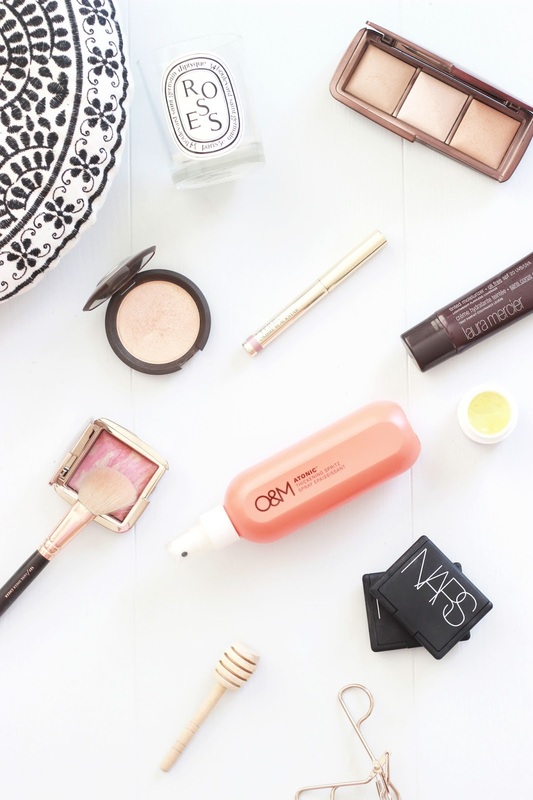 What products do you rely on when you've got several blemishes?